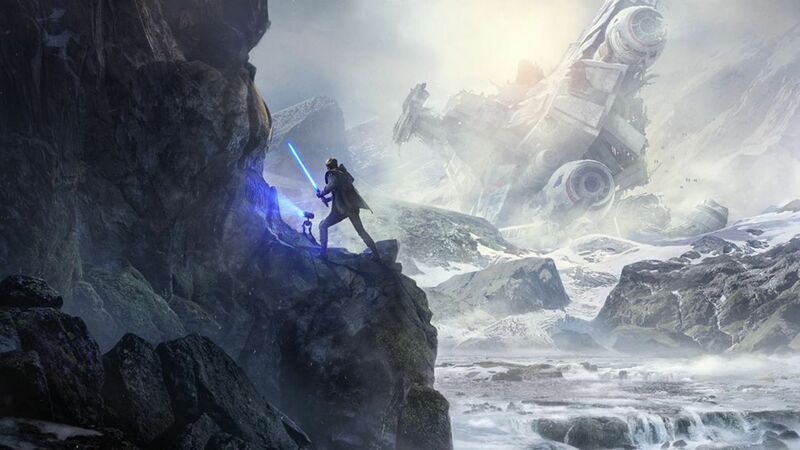 Though we didn’t get to see any gameplay, Respawn Entertainment’s Star Wars Jedi: Fallen Order did have a nifty story trailer to premiere. It showcased Cal Kestis, a Padawan hiding in plain sight following the events of Revenge of the Sith. Cal will be played by Shameless and Gotham star Cameron Monaghan, who also joined the panel to answer some questions. We also got a look at some of the performance capture that Monaghan did for Cal (starts at 1:04:44 in the video below). More details on the new Buddy Droid, or BD-1, were also revealed, and it’s sound design has been overseen by Ben Burtt, the legendary Star Wars film sound designer. A new type of Storm Trooper called a Purge Trooper was revealed, who serve the purpose of working to hunt down the Jedi, along with the Inquisitor known as the Second Sister. Last but not least, a partnership with Xbox was mentioned at some point, though it didn’t amount to much more than a giveway of Xbox One X consoles and Star Wars Jedi: Fallen Order merchandise to audience members. We’ll see if anything else, like exclusive marketing, comes up in the next few months. Star Wars Jedi: Fallen Order releases on November 15th for Xbox One, PS4, and PC.